Looking to offload its loss-making UK business, Tata Steel Europe on Monday said that it has considered seven expressions of interest which have been taken forward to the next stage of the sale process. In a statement, Tata Steel Ltd’s Europe business unit clarified that it has considered only those who have shown interest in buying the entire operations. “The seven expressions of interest being immediately taken forward are on this basis. Expressions of interest for parts of the UK business are not being taken forward at this point,” the statement said. 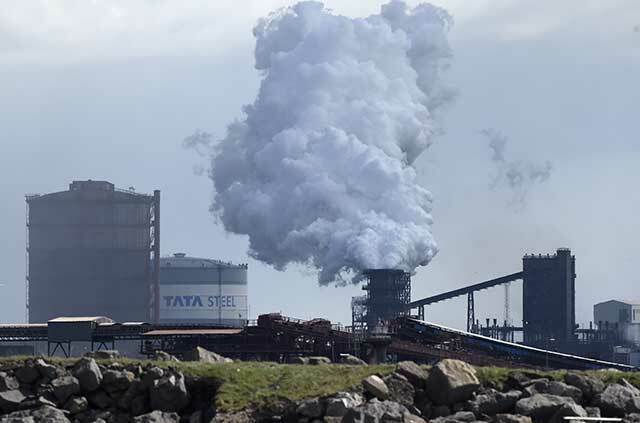 Amid demand slowdown and surge in steel imports from China, the board of Tata Steel on 30 March decided to sell the entire UK operation, nine years after acquiring the Anglo-Dutch steelmaker Corus Group Plc. for almost $12 billion. Tata Steel Europe also said that it is clarifying outstanding points with a number of other parties who have submitted expressions of interest. This comes in the backdrop of the Conservative Party-led government in the UK desperately trying to avert 40,000 job losses—15,000 at Tata Steel and another 25,000 in the supply chain—in case the Tata Steel plants are shut. According to reports, Liberty House, led by Sanjeev Gupta, had also submitted bids for Tata Steel’s UK assets. Last month Tata Steel Ltd announced that it will sell its European long products business to investment firm Greybull Capital for a ‘nominal’ amount. “We have been pleased with the response to the initial stage of the global sales process for Tata Steel’s UK business. We believe that the bids being taken forward offer future prospects of sustainability for the UK business as a whole,” said Koushik Chatterjee, group executive director (finance and corporate), Tata Steel. Experts believe that the move to sell the entire UK business at one go is a smart one. “If one sells an asset in bits and pieces, valuation is certainly lower compared with selling the business as a whole in the current global economic scenario,” said Dipesh Dipu, partner at Jenissi Management Consultants, a consultancy focused on energy and resources.